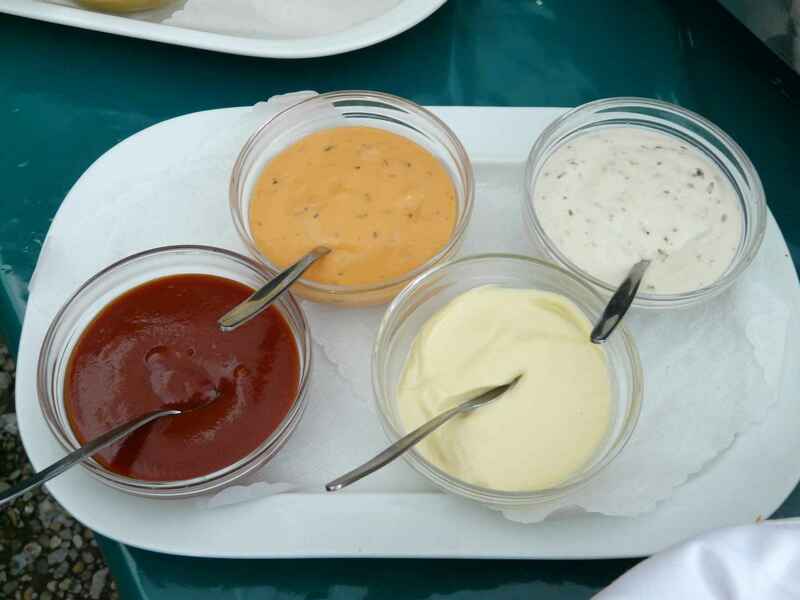 Aioli is a great accompaniment to any vege platter, bowl of chips or burger. This recipe is quick and easy. Place egg yolk, vinegar or lemon juice, garlic, salt and pepper in food processor with metal blade and blend together. With the motor still running, very slowly add olive oil, then the sunflower oil, drop by drop at first, then when it begins to thicken, in a slow steady stream until the sauce is thick and smooth. Storage: can be stored in the fridge for 2 – 3 days.